DVR Security System - What is and How Does it Work? What Are DVR Security Systems and How Do They Work? Retrieval of data in the traditional method needs a lot of scanning. There is a lot of footage to search through in order to find a specific event. In DVR security system on the other hand; retrieval of data can be achieved in an instant. That is because videos are labeled or stamped to specify the time and date. Making DVR security cameras more preferable to users. 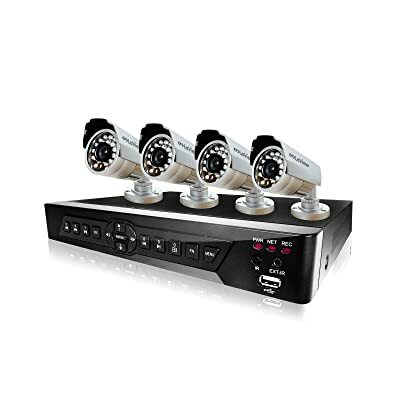 Compared to traditional video security system, DVR security system provides high-quality digital image recording, playback, archive, and processing. Additionally, Digital Video Recording can be customized to meet individual preferences and needs, making it more user-friendly. Often, DVR security cameras are set with additional features such as auto-start recording and with night vision. Sensitivity scale of digital recorders, enable users to set the system to document based on a specific level of motion. Another advantage of DVR security systems is the ability of its security video camera to be controlled remotely with the use of the DVR device. It also allows the users to zoom the image, pan or even rotates to have a better access of the field. Some digital video recording security systems have the ability to detect motion and stamping events, therefore, removing much of the management and monitoring from the personnel involved in monitoring events, making them more efficient and well organized. Continued development of DVR security systems have progressed significantly in recent years. Because of this, it is quite possible that in the future, the system will be the most simple and user-friendly on the market. We use a DVR security system in our stockrooms and warehouses. When we received a report of pilfering, we were able to view the footage quickly because of the timestamp. Companies should invest in DVR systems not only for the protection of the business but of employees as well. The quality of DVRs are miles away from the traditional ones. We’ve only upgraded last year and we are seeing the great benefits. DVR security systems are way ahead of traditional security systems. time stamping and the ability to manipulate frames to one’s desire makes it a better choice, But the latest innovation is on NVR. Network-based video recorder. You should make an article on it. Thanks! Thank for this. I had someone trying to explain it to me who works with the company I have a security system with. I could not for the life of me understand what he was saying. Like I got the gist of it but it felt like I was missing something. Now that I know EXACTLY how DVR security systems work, I feel like this is worth the investment for me. I really like how these work. I didn’t even consider this an option until just reading your post. I have been looking around on your site for a few days trying to decide on the best means of security for my home and I think a DVR system will be fantastic! I may not live in a bad area but that don’t mean robberies and break ins don’t happen. So these are like DVR recording devices you use with your cable then? This reminds me of a more compact version of the things they use in stores. They ave to reply on video tapes though which is outdated and annoying. These don’t need tapes or anything huh? DVR systems seem to be the trend going in to the future so I have been reading up on them. They sound fantastic to me! I am planning on getting a system with in the next month or so since I will be out of town a lot over the summer. I want to make every thing stays safe and just being able to see what is going on when I am gone will help. I had no idea they were this easy to use. Thank you very much author! I am going to look over the rest of your site and get some recommendations. I was under the impression that DVR systems were incredibility hard to work and unreliable. Must have been security companies not wanting people to take care of themselves! DVR Security is FANTASTIC! As a garage owner, I always have people in and out of here. I wanted to update our security so people can feel safe leaving their cars here. We even have a TV that shows what we see in the waiting area so people know we are not ripping them off. I am able to allow my customers to feel better and I am able to save all the footage in case something ever did go wrong. Thank you for this information. I am new to the world of security cameras. I always relied on my guns and my dogs for safety but now and myself and the misses are older now, we would like something more reliable. This helped a lot. I can at least say I know what DVR systems do and I may just consider one myself.